What happens to a watermelon, if you throw it the sea? Try to answer this question already now based on your knowledge about physical laws or just make a pure guess. If you are not sure, keep this question in mind while reading the article and you might get a better understanding of the principle behind. According to our current theme session “salt”, this article will talk about salt regulation – the passive and active one. Cells of living organisms contain a lot of water and different solutes (ions, proteins, polysaccharides), creating a specific concentration inside the cell membrane. This membrane is semi-permeable, meaning that it only allows the solvent (water) to move across, but not the solutes. When cells are submerged into a solution of a different concentration, the law of osmosis comes into play. Osmotic pressure is a tendency of water to move into one solution from another by osmosis – passing a membrane from a high water concentration to a low water concentration. The higher the osmotic pressure (difference between the solutions on either side of a membrane), the more water tends to move across in order to balance the concentration . Keeping the homeostasis in balance is a big challenge for freshwater and marine fishes, because metabolic processes can only take place in very specific physical and chemical environment. In order to keep the “internal environment” constant, continuous adaptations with regard to temperature, pH and the concentrations of Na+, K+, Ca2+, glucose, CO2 and O2, take place. 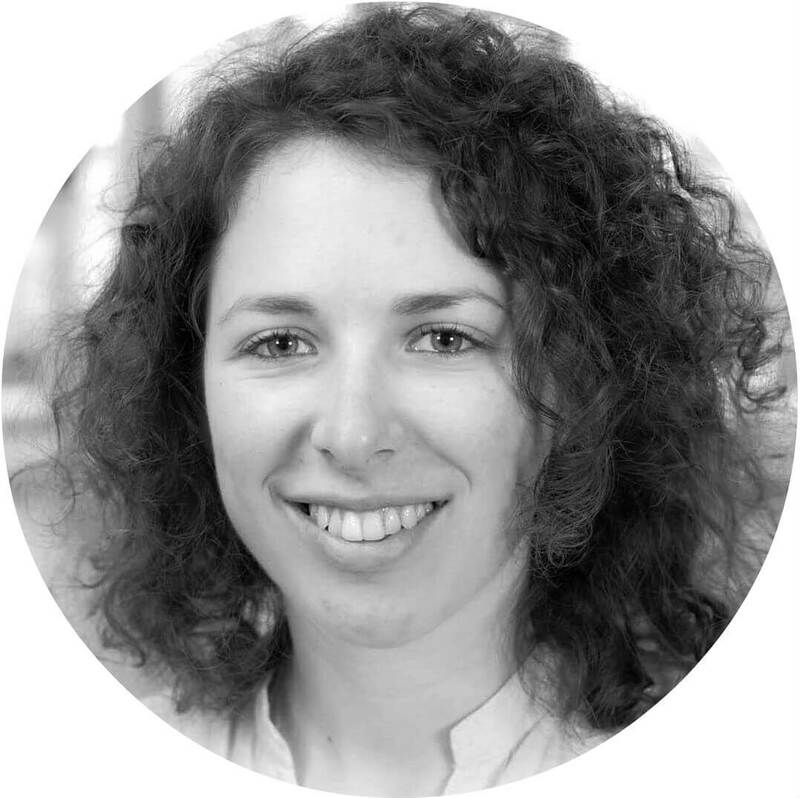 The key to their problem is osmoregulation – active regulation of the osmotic pressure to maintain the fluid balance and concentration of salts . Let first take a look at freshwater fishes. Because the salt concentration inside their body is higher as in the surrounding water, water enters the body due to osmosis. Without any active regulation of this process, fishes would swell and get bigger and bigger. To compensate, the kidney produces a large amount of urine, which at the same time means loss of salts. 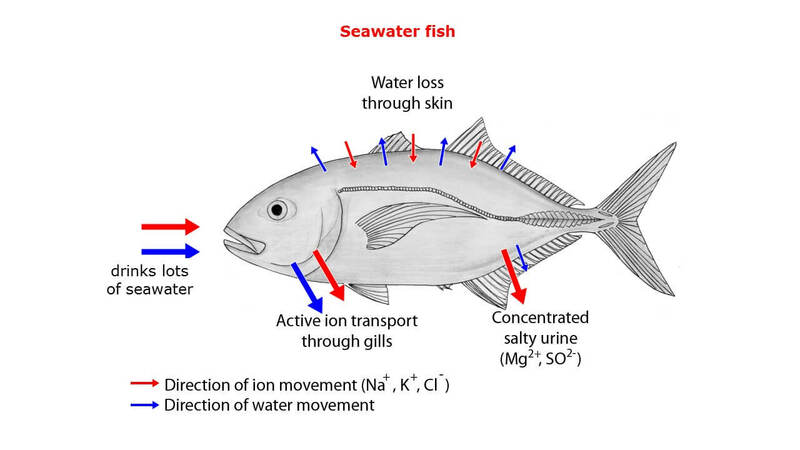 In order to maintain a sufficient salt level, special cells in the gills (chloride cells) take up ions from the water, which are then directly transported into the blood (see Figure 1) [2, 3, 4]. In contrast, marine fishes face the opposite challenge – since the salt content in their blood is much lower than that of seawater, they constantly tend to lose water and build up salt. To replace the water loss, they continually need to drink seawater. 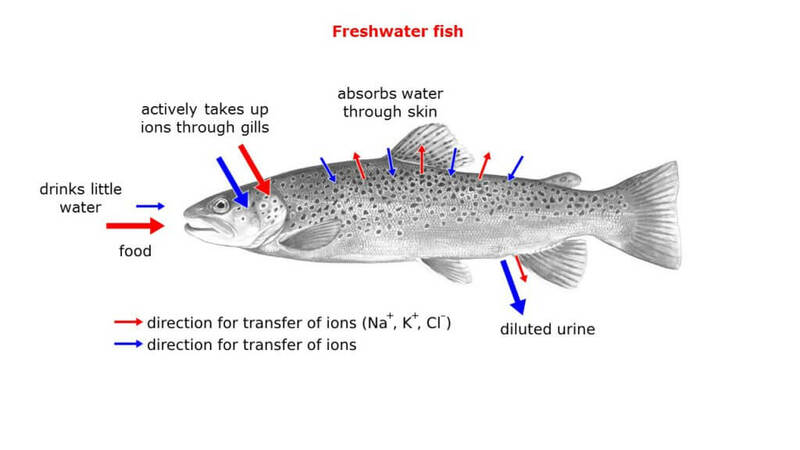 Since their small kidney can only excrete relatively small amount of urine, the excretion of salt additionally takes place in the gills where chloride cells work in reverse as in freshwater fishes (see Figure 2) . What about fishes living in both, fresh- and seawater? 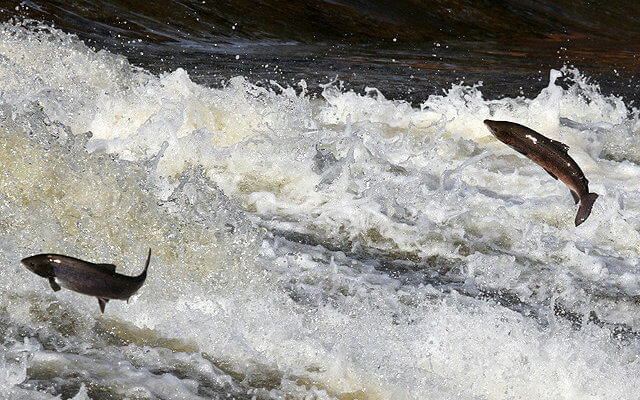 If you like to watch documentary films, you have probably come across one that presents a life cycle of salmons. 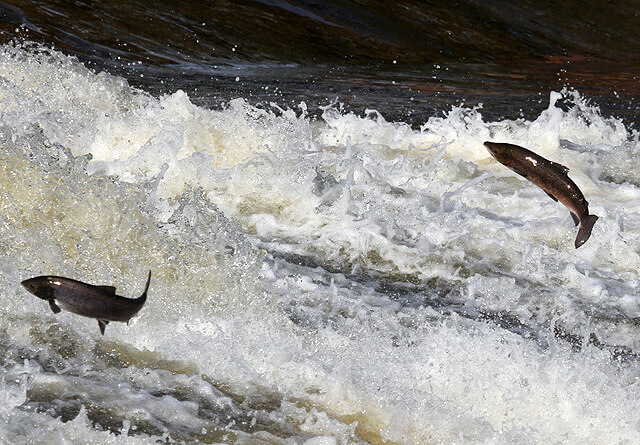 A young salmon start its life in a freshwater river where it has to prepare for a life in a salty ocean. Three important changes must occur before this happens. Firstly, it has to start drinking lots of water. Secondly, the kidneys must drop their urine production dramatically. And thirdly, the chloride cells in the gills (also called molecular pumps) must shift into reverse, meaning pumping sodium out instead of in . At some point, adult salmons return to their place of birth to spawn (in the documentary this is a moment of feast for grizzly bears). By re-entering the freshwater river, the above-mentioned processes have to change back. They stay a few days in the estuarial zone as these changes happen automatically. There are also species living in estuaries – environments, where freshwater meets the sea and salt concentration changes gradually. Some species of sharks can swim very far upwards the freshwater stream. Their osmoregulating process is quite different that the one of salmons. They are able to convert ammonia to urea and retain it in the blood to such an extent that the blood is slightly more concentrated than seawater. In this way, the loss of water via osmosis is prevented and animals do not need to drink seawater and excessive salt is excreted through the rectal gland . These switches are controlled in the brain and regulated by hormones. The cortisol and thyroid hormone are the main regulators of osmotic process – influencing the rate and direction of ions pumped through the chloride cells . So what would happen to a watermelon in a salty sea? Since the salt concentration outside of the shell is higher than inside, all the water from the inside would try to equalize the sea concentration. And since there is just a bit of water available inside of a watermelon compared to all the quantity of the sea, a watermelon would dry out! Nowadays, fresh drinkable water is not available to many people around the world. Many countries have access to sea but the process of desalination is very energy consumptive and therefore very expensive. Maybe a better understanding of natural osmoregulative processes could bring up biomimetic ideas for development of low-energy options and more effective alternatives to desalination, industrial water treatment and other water purification applications. That’s the best site to clear my doubts regarding osmoregulation in fishes. I’ve got a great read. For people with less understanding of what is going on with the water and what happens to the watermelon after being thrown to the sea, this is very enlightening. Thanks! This was really helpful ! Thank you !